The adage goes, “A journey of a thousand miles begins with a single step.” One local manufacturer recently began his metaphorical thousand-mile journey with a single product. Chef Danny Lin’s story of establishing a specialty food company is one that is a work in progress, but one that has already yielded success for this budding manufacturer in Mississippi. Along with his expertise in the culinary arts, prioritizing good business decision-making has become a theme that has helped fuel his success. 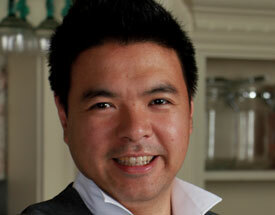 Chef Danny Lin grew up in a family of chefs. His father is a chef. His mother is a chef. With the support of their family, Danny and his sister both became chefs and were able to open their own Chinese restaurants at an early age. Danny owns Ding How Asian Bistro in Ridgeland, Mississippi, arguably one of the best made-to-order Asian cuisine restaurants in the state. Says Lin, “My parents helped me purchase my first restaurant. I earned back the investment in just 10 months.” Today, everyone in the family still owns and operates Asian fusion restaurants. Lin’s entrepreneurial spirit has always been a driving force in his life. 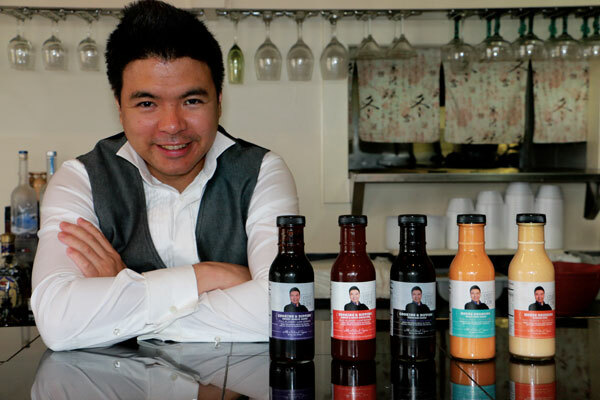 In 2014 he decided to explore the idea of making one of his popular sauces, Ginger Zing House Dressing, available for retail sale. The Ginger Zing House Dressing turned out to be a first step into the world of manufacturing in Mississippi for this restaurant entrepreneur. 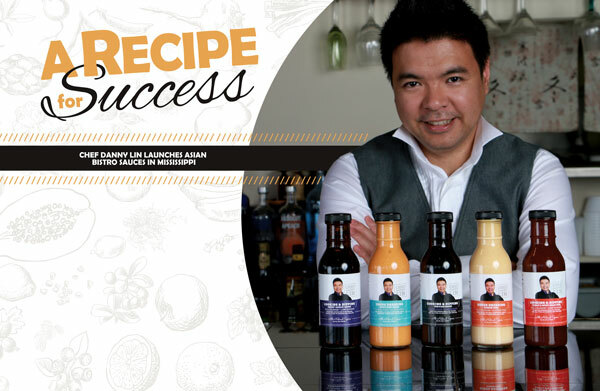 Lin leveraged his restaurant and customer base to test and develop his first recipe for the new Ginger Zing House Dressing. He was able to perfect the dressing and also gauge customer interest based on initial and repeat retail sales in the restaurant. Once he was confident the product was ready for retail sale at a grocery store, he approached the local Kroger Company grocery to assess their interest in carrying the product. In March 2015, the Kroger Company agreed to try the product at that branch. The Kroger Company has well-established metrics to determine if a product is successful and worthy of valuable shelf space. Within weeks, both Lin and Kroger knew they had something exceptional. In 30 days the dressing was selling enough units to be considered a success by the retail grocer; in 60 days they were doubling that number. It was clear that Chef Lin’s Ginger Zing House Dressing was not only worthy, but was a top seller. Today’s sales numbers equal or exceed the #1 selling soy sauce brand on the Kroger shelves (soy sauce is a good sales comparison based on its daily use by consumers). While early in the concept stage, Lin consulted Mississippi branding and marketing experts Think Webstore to assist in brand creation, product design, and business development, taking into account not only the product he had ready, but possible future products as well. Says Lin, “The product design is responsible for the customer’s first purchase. The quality of the product determines repeat buys. Both had to work.” Lin was told by one grocer that his label design truly stood out as one of the best in his category; repeat sales demonstrate his product’s quality. Next, Lin began acquiring necessary manufacturing credentials with the state. He spent weeks preparing and testing for certification through the Better Process Control School in multiple areas of food manufacturing, including Microbiology, Acidified Foods, Thermal Processing, Sanitation, Container Handling, Records, Process Room Instrumentation, Still Steam Retorts, Overpressure, Hydrostatic Retorts, Continuous Rotary, Batch Agitating, Aseptic Processing, Metal Closures, Glass Containers, and Semi-rigid Containers. Certification is required by the State Health Department in order to manufacture foods canned in the state of Mississippi. Chef Lin also connected with state organizations, such as Innovate Mississippi, that have assisted in the process of attracting investors to fund growth as he accepts larger orders going forward. Chef Lin now distributes three different sauces: Ginger Zing House Dressing, Spicy Pink Sauce, and Sweet & Spicy Asian BBQ. He also has several other recipes that are being prepared for retail. He is currently distributing to over 30 Kroger locations in Central Mississippi, with sales of 40-60 bottles per month per store per product, plus reserve inventory. Some stores are selling as many as 100 bottles per month of the Ginger Zing House Dressing. Chef Lin’s market is still growing. He has received an invitation to supply the entire Delta region for Kroger and has plans to move distribution to one of Kroger’s central warehouses. Whole Foods has also expressed interest in carrying Chef Lin’s products. The ability to fulfill much larger orders positions Lin to meet growing demand and supply expanding markets. To meet that demand, Lin has secured a contract packer (co-pack) that will produce, bottle, package, and distribute thousands of bottles per order. “Response to our sauces has been very positive across the board. We are excited about the success our products are experiencing and are continually planning for growth in partnership with our retail grocers with additional locations and added products,” says Lin. Mississippi’s manufacturing success is often symbolized by some of the larger industry players, such as Ingalls, Nissan, Toyota, and Sanderson Farms, to name a few. While these are excellent examples of Mississippi manufacturing, it is important to remember that every manufacturer had a small start somewhere; some were started from a garage, a home, or even a family-owned restaurant. Chef Danny Lin exemplifies the true spirit of Mississippi manufacturing — vision, courage, determination, and a smart approach to growing a business from the ground up.